A 23-year-old student of Uganda Christian University (UCU) has pleaded guilty before Buganda Road court, to broadcasting a p*rnographic material. Lilian Rukundo is said to have uploaded on the internet a video of herself, while m*sturbating. 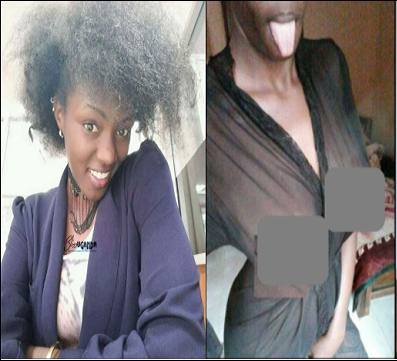 According to the charge sheet, in 2017 while in her hostel in Mukono District, Rukundo in Uganda, produced a video showing herself m*sturbating, while pushing a middle finger in and out of her v*gina, for purposes of s*xually arousing whoever watched it. She has been charged with 10 counts of broadcasting ph*nographic material. The chief magistrate, Ms Mary Babirye remanded her to Luzira Prison until July 13, 2018 when she will return to court for sentencing. Rukundo’s lack ran last month when a whistle blower tipped the P*rnographic Control Committee.